I like to take cuttings off of different yard plants and put them in jars on my windowsills. This morning glory actually bloomed. 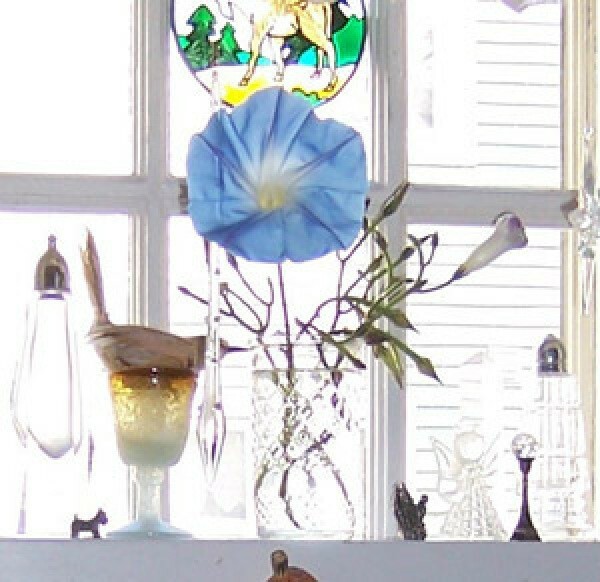 Thank you so much for sharing your beautiful morning glories!! It's staring to act like spring here in Ohio and I can't wait to get my hands in the dirt. My thumbs are actually itching! For real? That made my day. Thanks for sharing. I'm in Ohio, too. I can't wait! What a good idea. Did they actually grow roots so you could replant them?